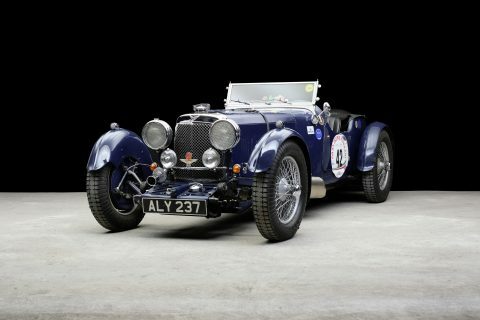 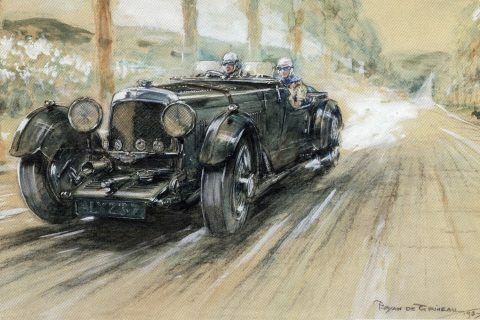 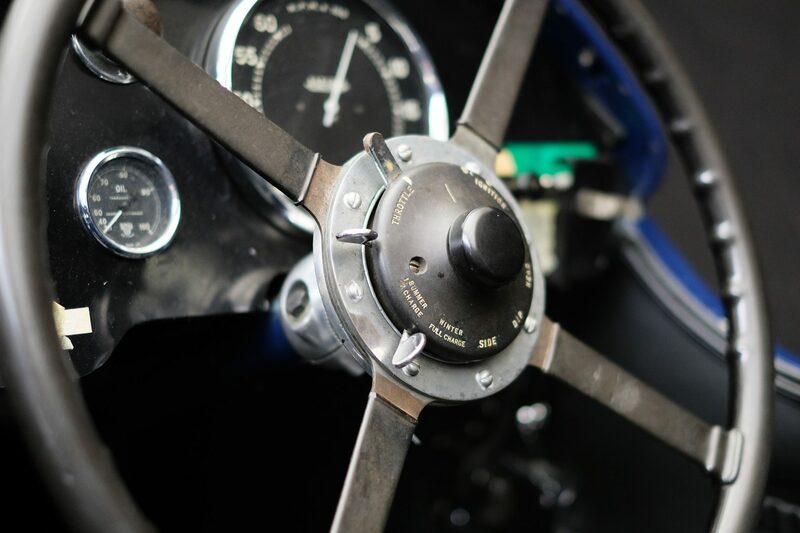 During the pre-war period, Aston-Martin was very focused on ensuring racing success as the most significant owner of the company pre-war, ‘Bert’ Bertelli, was both a very successful racing driver and a master at creating a car that excelled at long distance endurance racing. 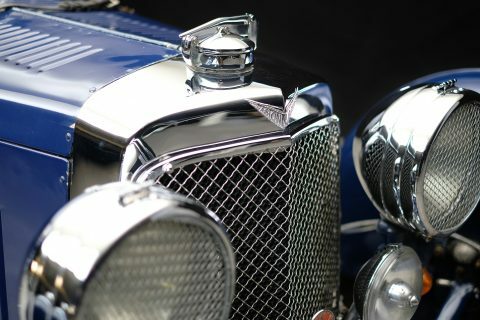 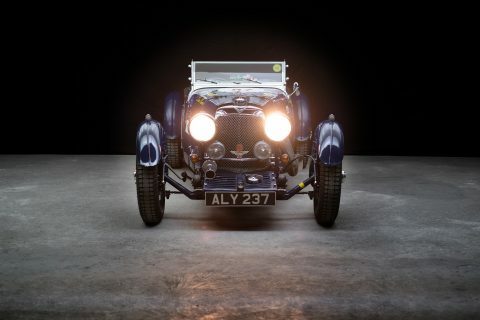 Aston Martin was one of the first car manufacturers to use the Le Mans designation in its production car model names, courtesy of its class win and fifth place overall in the 1931 race. 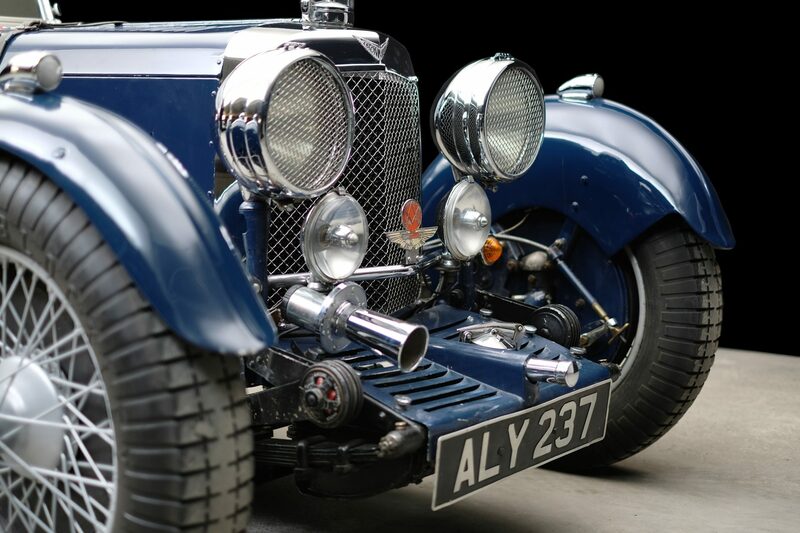 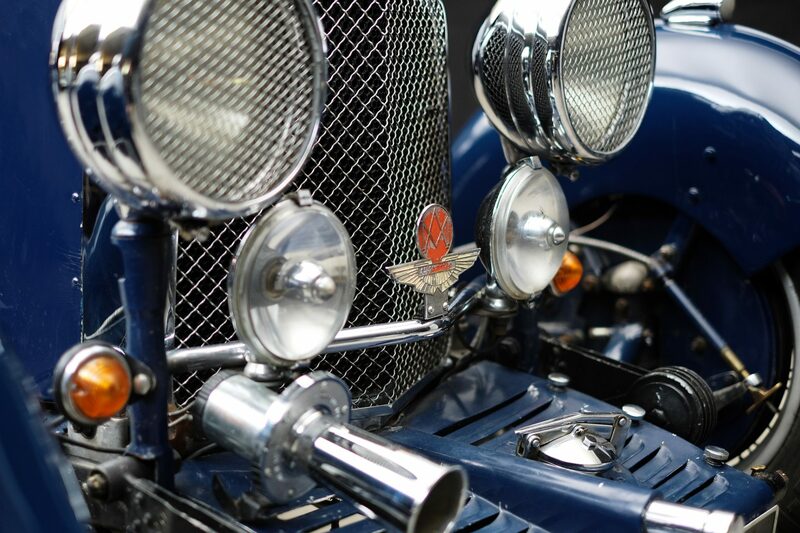 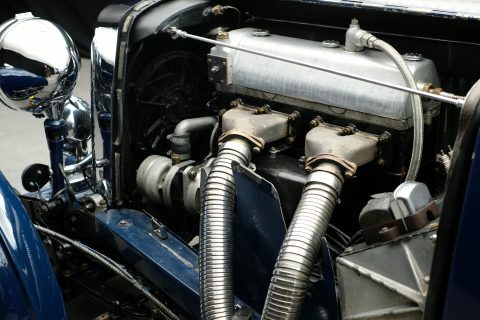 The second series of 1.5-litre cars was introduced in February 1932 with the Le Mans model being launched at the London Motor Show of that year. 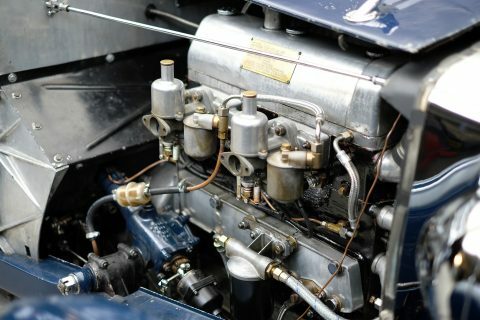 Whilst looking very similar to its predecessor, this car was quite different internally with an all-new 102-inch chassis, a racing-style dry sump, overhead camshaft four-cylinder engine, and a Laycock transmission that was now mounted to the engine. 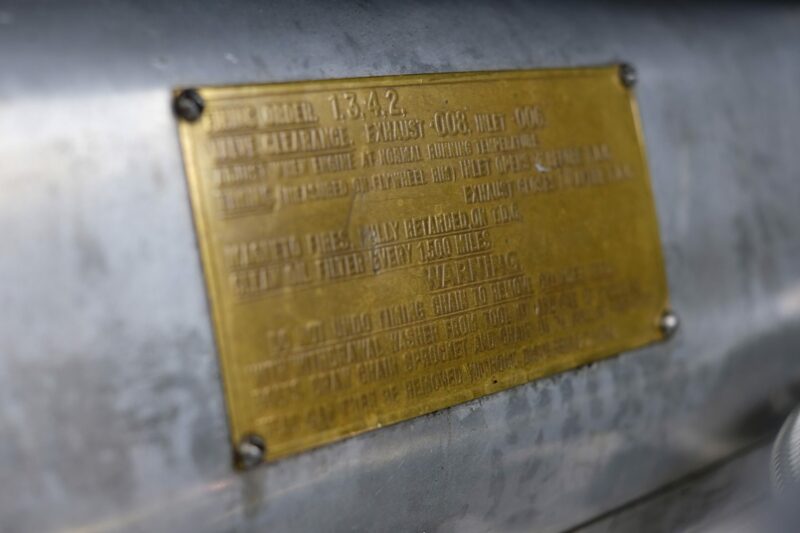 The engine itself sported a cubic capacity of 1495 and could produce 70bhp at 5000rpm. 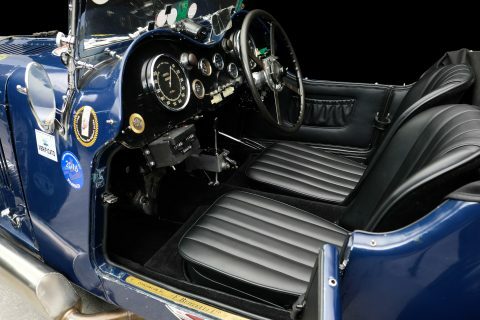 The gearbox was a four-speed close ratio unit. 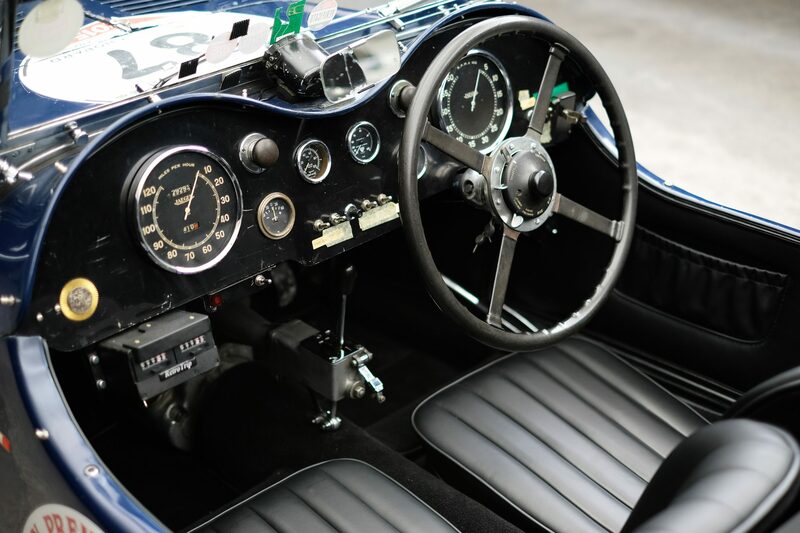 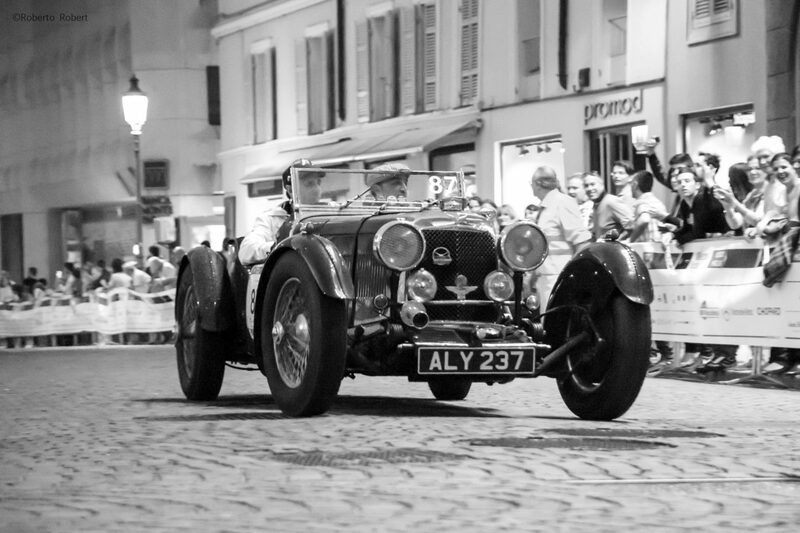 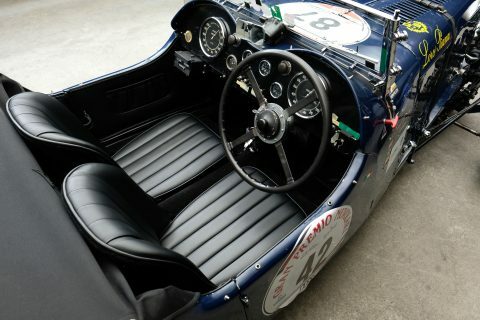 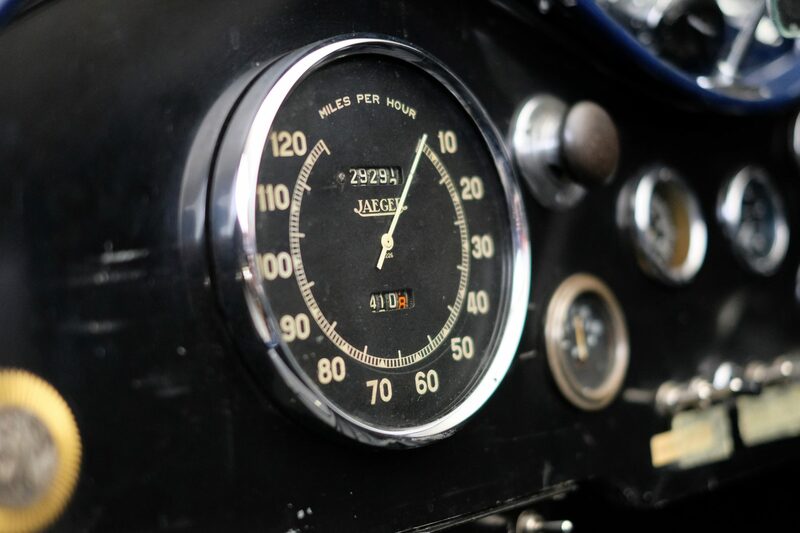 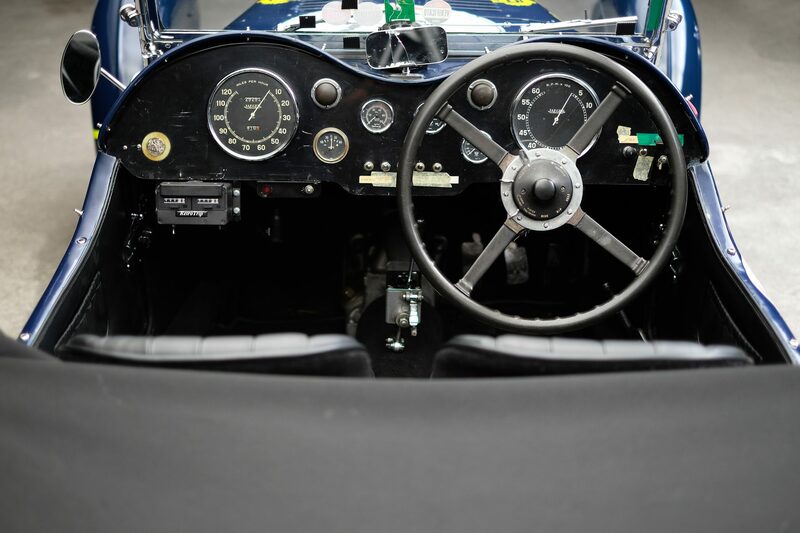 Notably, a Le Mans competed in the original Mille Miglia, thus ensuring that this model is welcomed in the current event as well as most other events. The 1.5L Le Mans was a popular model, as racing driver T.G. 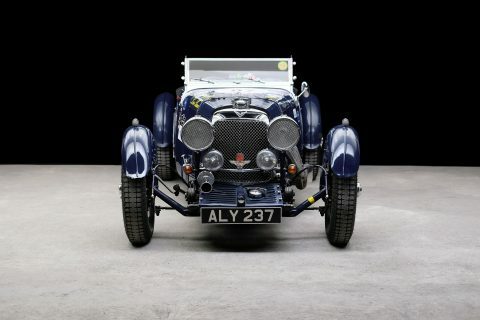 “Tommy” Clarke was the first owner of H3/301/S and world land speed record holder Sir Malcolm Campbell owned H3/305/S. 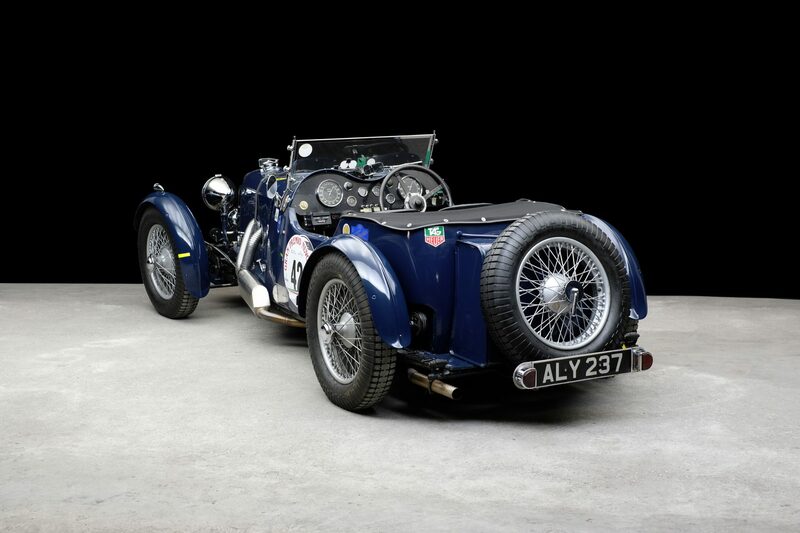 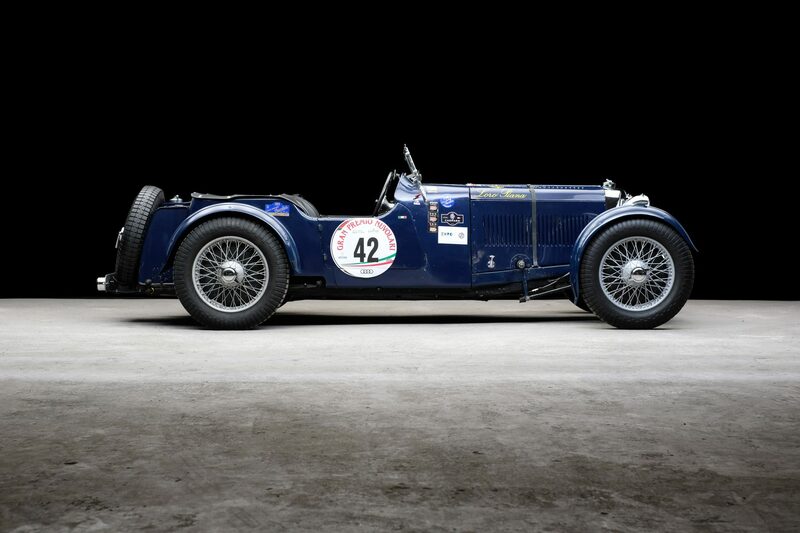 Chassis H3/303/S is one of just 106 examples built by the Aston Martin factory in 1933. Registered as ALY 237 upon delivery in period (a number that it still holds today), H3/303/S was supplied new to Hall Thompson in 1933 and comes with a continuous ownership history since new. 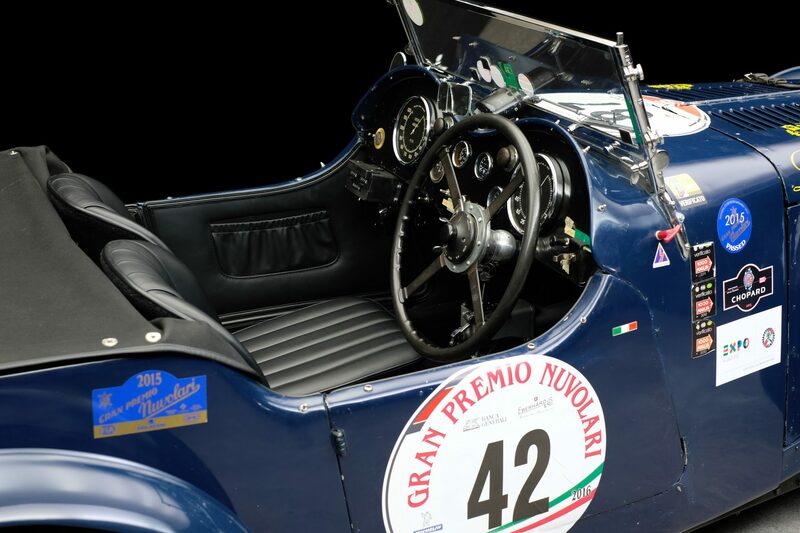 Besides being an extremely original example retaining both its original bodywork and engine, H3/303/S has been the subject of a thorough maintenance in recent years including a full engine rebuild by world renowned specialist Ecurie Bertelli. 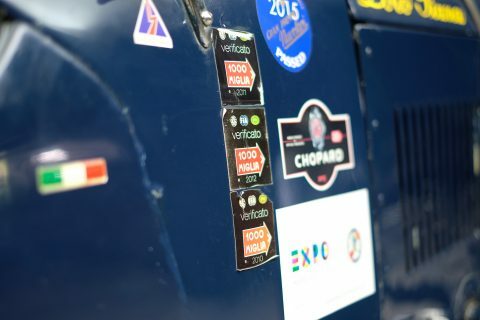 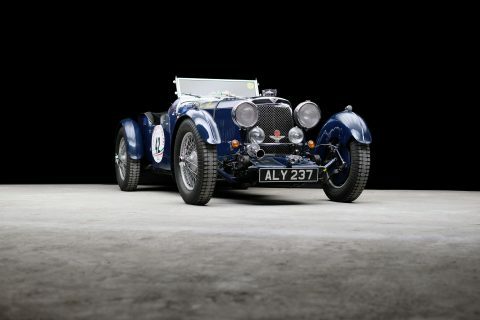 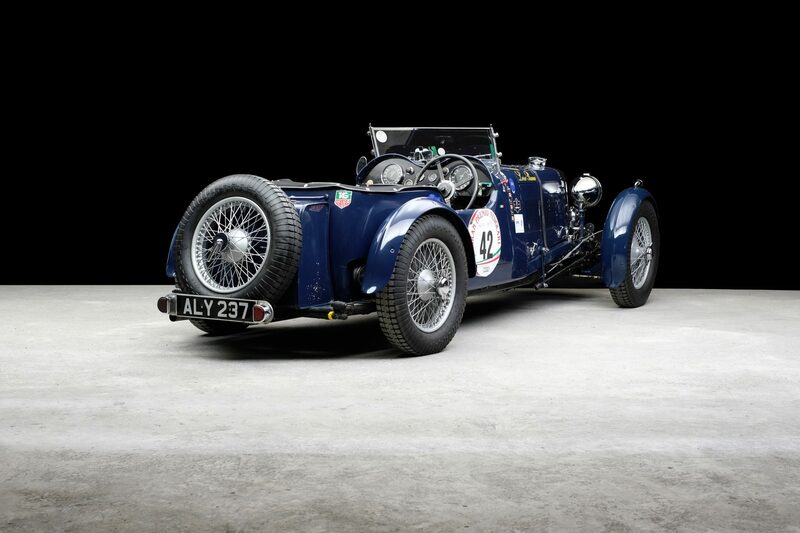 Further on the car was maintained by their team whilst achieving 6 successful Mille Miglia finishes. 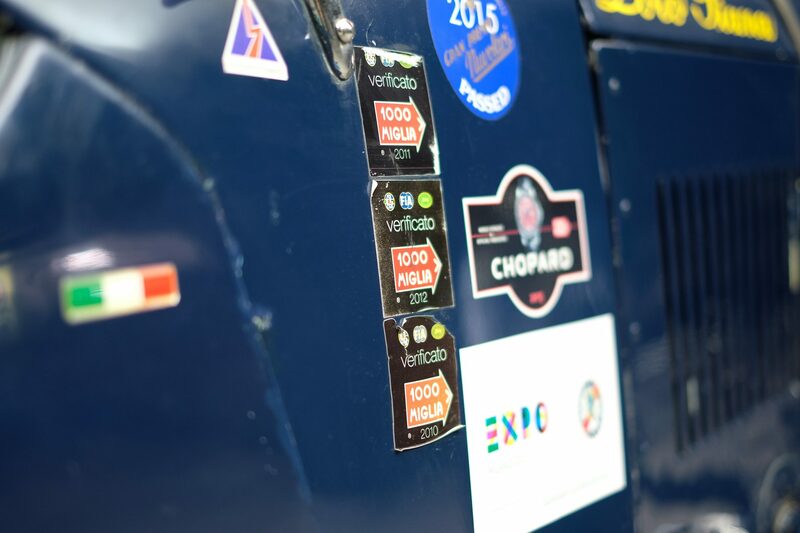 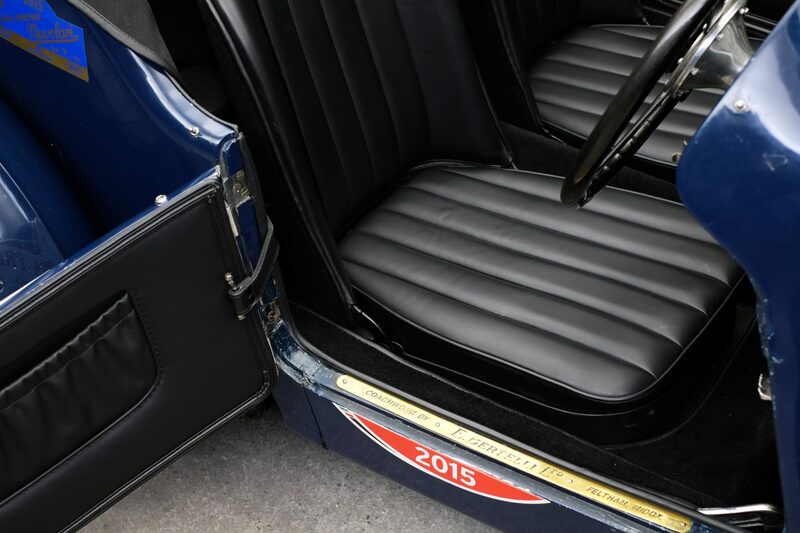 This proven competitor comes with FIVA passport and is an ideal entrant for all major historic events.